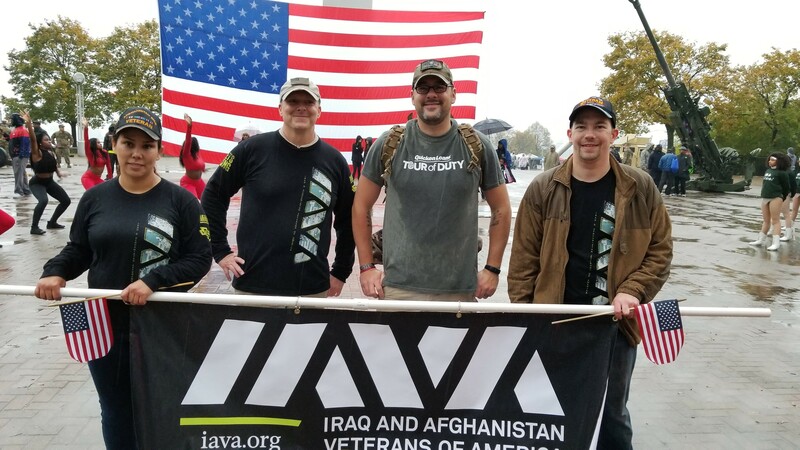 Another amazing Veterans Day is in the books, and across the country, IAVA members rallied together as we welcomed all Americans to learn about us, support us, be inspired by us, join our movement and deepen the Sea of Goodwill to support our mission to make every day Veterans Day. This is just the beginning. 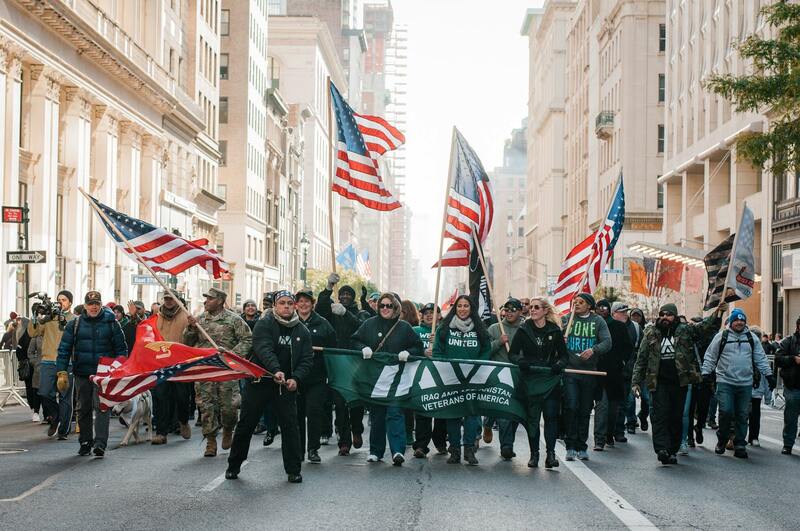 In New York, old man winter came early this year, but despite his best efforts, he didn’t keep us from celebrating Veterans Day in true IAVA fashion – loud and proud! 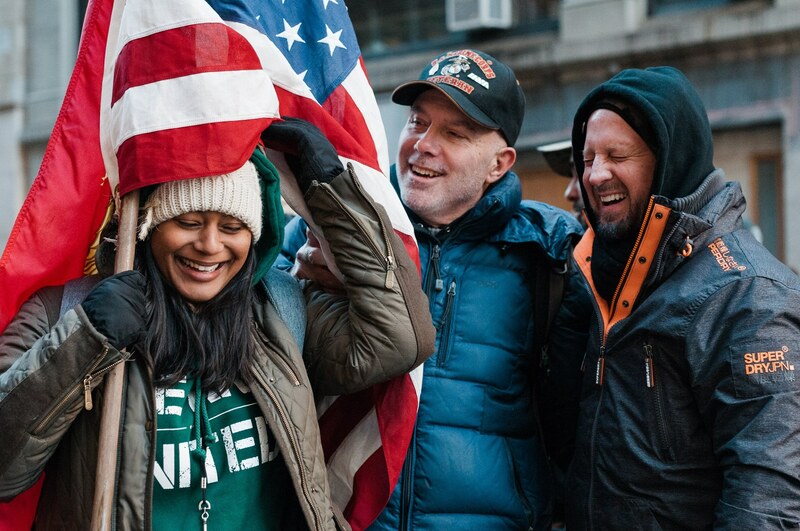 Hundreds of IAVA members and allies joined us once again on the Flatiron plaza, braving frigid temperatures to share camaraderie and community with veterans and supporters alike. One of our most loyal sponsors, CAA, was again on hand to provide breakfast, and members enjoyed a live performance from Army Field Band, the Six String Soldiers before marching in cadence up 5th avenue with our flags flying high! 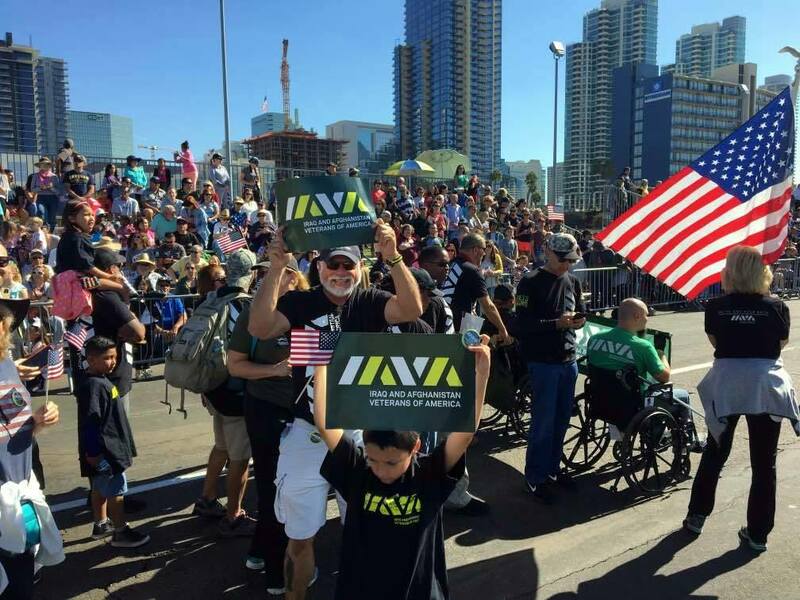 Watch highlights and the entire parade on IAVA’s Facebook page! In addition to the crew on the ground in NYC, hundreds of veterans and allies joined us online and around the country for our virtual march, and events in their own local communities. 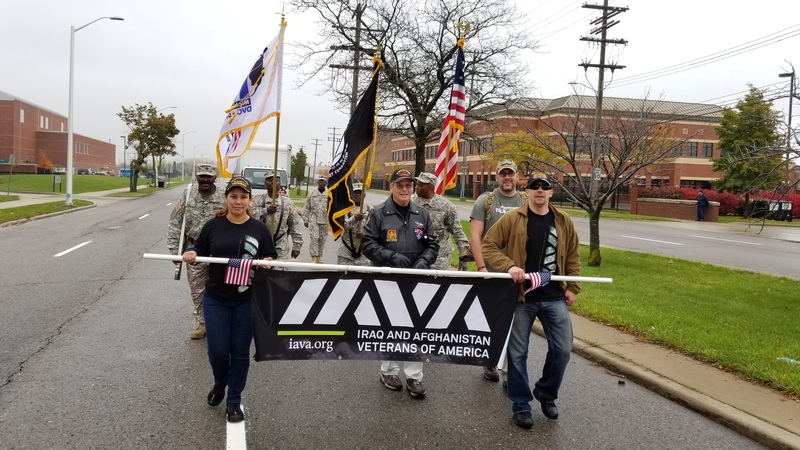 From San Diego, to Portland, to Milwaukee – Atlanta, Minneapolis, and Detroit – IAVA members were out in force – and we couldn’t be more proud of our community. 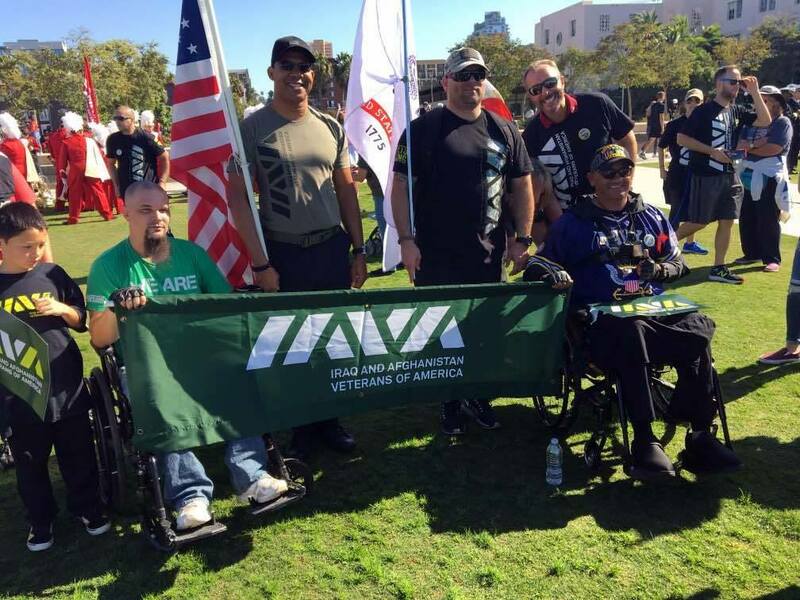 During a time when veterans are being more politicized than ever before, IAVA stood together and called on Americans to learn about veterans, honor their service and stand with them on the issues that matter most. And we’ll continue to work together to make every day Veterans Day.